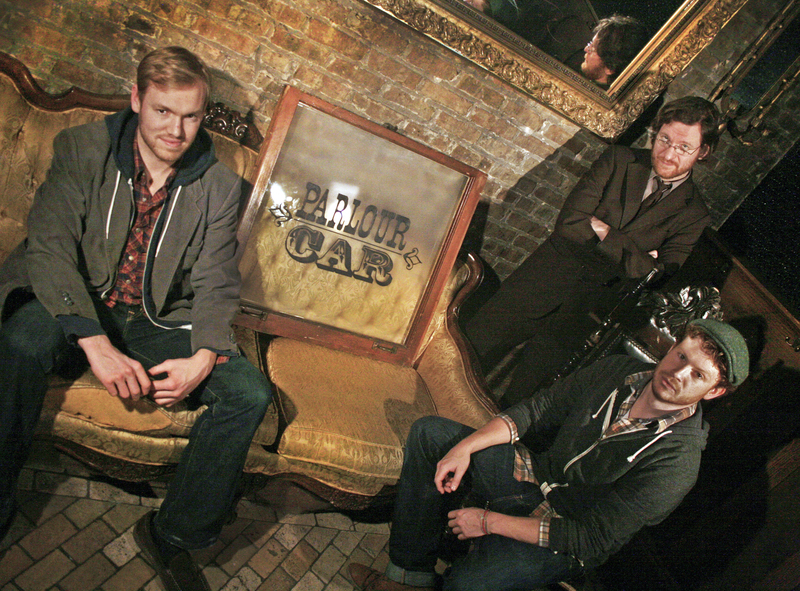 CHICAGO, IL — Three local comedians have just announced they will be launching a new, free weekly stand-up comedy show called Parlour Car. The show will take place every Thursday evening at 8:00pm at Bar Deville in the city’s East Village neighborhood, and is helmed by comedians Adam Burke (Wiggle Room, TBS Just for Laughs), Matty Ryan (co-producer, Blackout Diaries), and Kenny DeForest (formerly of The Wind Up). Parlour Car’s first installment will be Thursday, January 31st at 8:00pm. Each show will feature five of the city’s very best stand-up comedians, as well as occasional national acts. The show will also be free-of-charge. Bar Deville, home of Parlour Car, was recently voted one of the “12 Best Cocktail Spots” in the city in the February 2013 issue of Chicago Magazine. The combination of hand-crafted cocktails and the warm, intimate setting of Deville’s back room will be sure to set this show apart from other stand-up offerings throughout Chicago.While the show is free, people are encouraged to book reservations ahead of time via email (ParlourCar@gmail.com), as seating is limited.